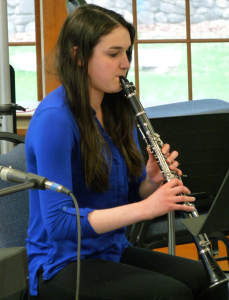 Clarinet Lessons at Centre Music House offers students of all levels the best and most comprehensive learning experience. Through private clarinet lessons our master instructors can help you improve your skills whether you’re just starting out in school band, working towards an audition, or just learning for your own personal enjoyment. As students progress through their clarinet lessons they will explore more advanced techniques, improvisation, and popular jazz songs. More advanced students will develop their improvisation skills. Our clarinet students range in age from 7 or 8 to adult. Start learning how to play the clarinet today! Need to Rent a Clarinet? You can rent instructor approved student-quality clarinets from Music & Arts at our location. We carry both new and used clarinets for rent and for sale. Click here for more information about our clarinet rental options.